Emily has been dancing at JC Dance since 2014. She has recently taken her very first examinations, RAD Pre Primary Ballet and ISTD Modern and is patiently awaiting her results. Emily has been awarded Student in the Spotlight because of her hard working attitude and excellent behaviour in every single lesson. 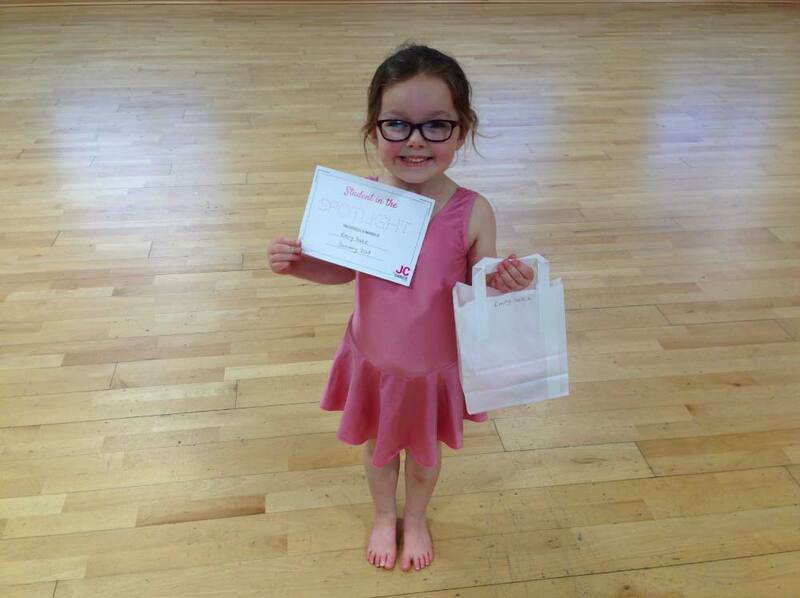 When asked what was her favourite thing about dancing, Emily replied “costumes for the show” … Well done Emily!